In our previous newsletter you read how your atmospheres intersect as you create them through your steady and persistent verbalization. Can you formulate a verbalization for yourself? Can you verbalize until you are comfortable with the mental results that lead to corresponding action? The important thing has to be that you can ponder upon your own verbalization. By pondering upon your own verbalization, you enter into your own realm of AEBOD - Aware, Engaged, Based, Oriented and Driven. You should practice writing and speaking your own originally formulated words. In verbalization you start by adopting and using other people's words and end-up originating your own formulations. This is a process that you should do and can sustain. The only organ that this process depends on is your mind, nothing else. Of course to speak you need a mouth, or do you always need a mouth in order to speak or verbalise? Please, reserve this for your own research. 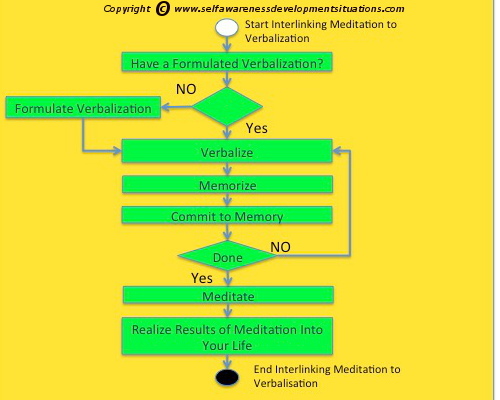 So here is a suggested process of moving from formulating your verbalization, committing to your memory, meditating and ultimately producing your actions from the results of your meditations.